It was held that the respondent/school faulted in not holding the Compartment examination in accordance with the circular dated 08.09.2001 that passed instructions based on Rule 41 of the Delhi School Education Rules, 1973. In Deeksha Madaan through her father and natural guardian Arun Madaan Vs. Directorate of Education & Ors and Aditya Munjal through his father and natural guardian Puneet Munjal Vs. 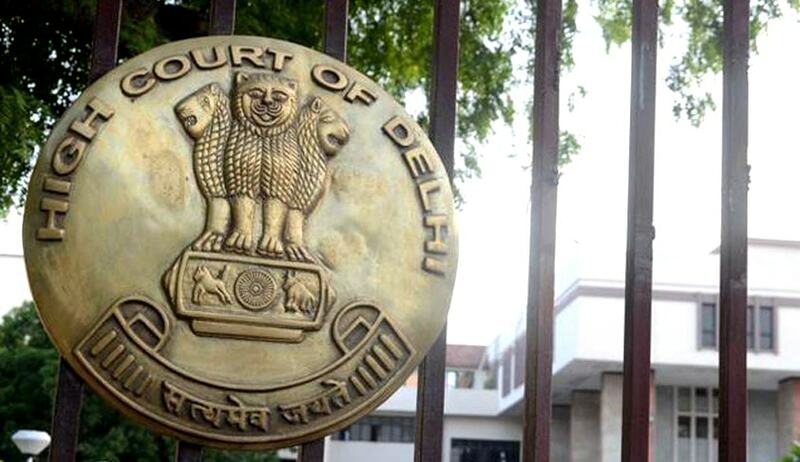 Directorate of Education & Ors (writ petitions combined due to common grounds), the Delhi High Court through Justice Sanjeev Sachdeva allowed relief to two students (petitioners) who were not being promoted from Class XI to Class XII on having not cleared their accountancy papers in the final/comprehensive exam and the compartment exam held thereafter. The court reached this decision as it was seen that the school had not strictly adhered to the binding Circular No. F.DE/Sch/Promotion Rules/9/2001/18663-20963 dated 08.09.2001, issued by respondent no. 1/Directorate of Education with regard to assessment, evaluation and promotion of students from Class I to Class IX and Class XI, in which instructions were issued under Rule 41 of the Delhi School Education Rules, 1973 (hereinafter referred to as “the Rules”), which empowers the administrator to issue detailed instructions on the advice of the Advisory Board regarding assessment, evaluation and promotion of students from one class to another. The petitioners had appeared for their final examinations of Class XI held from 8.3.2016 to 21.3.2016 and the results were declared on 31.3.2016. Petitioner Deeksha Madaan had secured 18.5% in her accountancy paper, with cumulative score being 23.1% and petitioner Aditya Munjal had secured 24% in the final accountancy examination, with cumulative score being 27.8%. The Compartment examination was held on 4.4.2016 wherein petitioner Deeksha Madaan secured 23.3% and petitioner Aditya Munjal scored 30%. After the results, the school barred them from being promoted to class XII. Instruction 32 was violated by the respondent/school by holding the Compartment examination in the first week of April instead of the last week of April. The rationale behind the instructions that the result of the final examination has to be announced by the last working day of the month of March and the compartment examination is to be held in last week of April, is to give weak students needed time to prepare for their subjects. In this case, the students were given only three days to prepare. The respondent/school could not have curtailed/reduced the period of preparation stipulated by the instructions for the compartment examinations. Respondent/school’s contention that the parents of the petitioners had not objected to the date of the compartmental exam decided on 4.4.2016 was ‘unsustainable’ as the letter/undertaking that the school got signed showed that they didn’t have a choice but to comply. A parent who is informed that his/her child has not cleared the final examination and may lose a year, would have no option but to accept the offer of the compartment examination, which is scheduled immediately after four days. The school had contended that even previously, it had conducted Compartmental exams during the first week of April, so the petitioners should not have a problem with it now. This contention was also held to be unsustainable as the court said that there could not be an estoppel against a statute. Respondent/school’s contention that because the word ‘Examination’ is absent from the body of Rule 41 of the Rules, the 08.09.2001 circular can only operate with regard to assessment, evaluation and promotion and not with regard to examination, was also held to be not sustainable. Any instruction with regard to assessment, evaluation and promotion would presuppose the involvement of an examination process, as they cannot be separated from each other. Even if, it is assumed that ‘examination’ is not covered by Rule 41, the administrator is empowered under Rule 43 (provides residuary power to the administrator to issue instructions in the interest of school education in Delhi) to issue such an instruction. It was further clarified that the decision will have no bearing on the result of those who had appeared and qualified the Compartment exam. Thereafter, the writ petitions were disposed of without any costs.